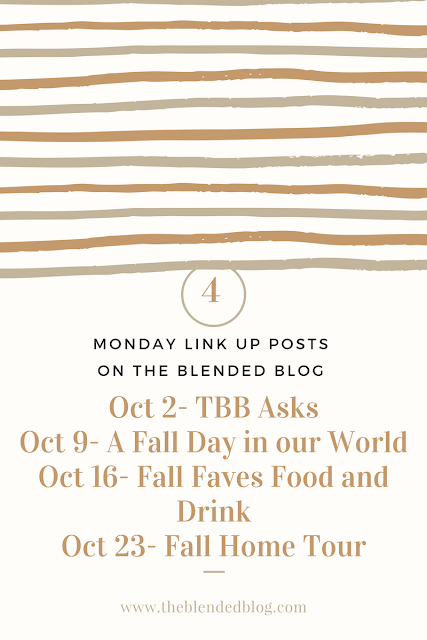 WHOOOP WHOOP..not gonna lie...this is my favorite month of Q&A's here with The Blended Blog! I'm Andrea from Living on Cloud Nine. 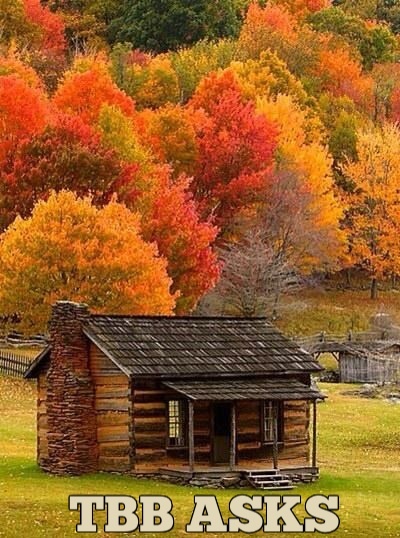 I mean Fall is all things pumpkin, apples, crunchy leaves, boots, layers, hot drinks, football fun and I may be a little giddy as I write this because I added my beloved Baileys to my PSL while I curl up with my blankie and watch the new season of TV shows! Besides missing my college boys, all is really well with the world in the Fall, except when Kroger is out of the Krispy Kreme Doughnuts!!! Boy do we have even more goodness in store for you this Month! The first Monday of every week is a Fall themed prompt that I know you are all gonna love!! 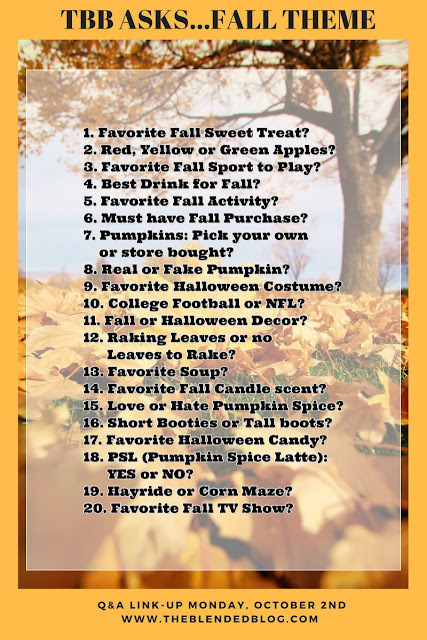 It's Fall Y'all...let's link your answers and I am going to grab another PSL..this one will be virgin while I read all your answers!! Head over to my Blog and all the link-ups to be immersed in the excitement of the season!